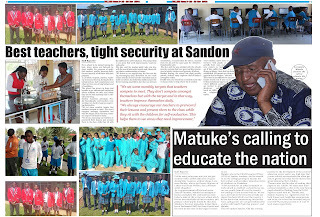 For a school to be ranked among the best, many issues are factored in, most notably the presence of qualified teachers, quality learning facilities and security of children and their property. In all these respects, Sandon Academy is found at the top, having built its infrastructure, staff complement and other services on a strong background of excellence. The school has grown in leaps and bounds as an educational institution where children are safe, and where they do not lack anything that is critical to learning. 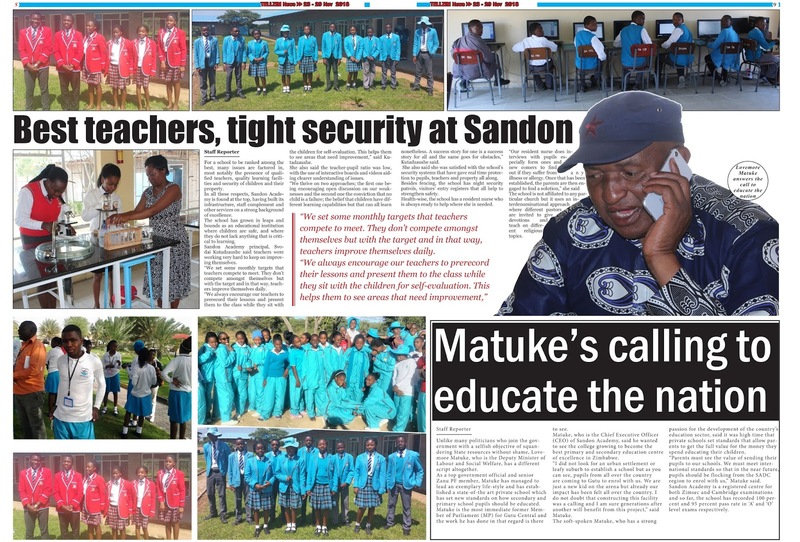 Sandon Academy principal, Svodai Kutadzaushe said teachers were working very hard to keep on improving themselves. “We set some monthly targets that teachers compete to meet. They don’t compete amongst themselves but with the target and in that way, teachers improve themselves daily. “We always encourage our teachers to prerecord their lessons and present them to the class while they sit with the children for self-evaluation. This helps them to see areas that need improvement,” said Kutadzaushe. She also said the teacher-pupil ratio was low, with the use of interactive boards and videos aiding clearer understanding of issues. “We thrive on two approaches; the first one being encouraging open discussion on our weaknesses and the second one the conviction that no child is a failure; the belief that children have different learning capabilities but that can all learn nonetheless. A success story for one is a success story for all and the same goes for obstacles,” Kutadzaushe said. She also said she was satisfied with the school’s security systems that have gave real time protection to pupils, teachers and property all along. Besides fencing, the school has night security patrols, visitors’ entry registers that all help to strengthen safety. Health-wise, the school has a resident nurse who is always ready to help where she is needed. The school is not affiliated to any particular church but it uses an interdenominational approach where different pastors are invited to give devotions and teach on different religious topics.